Billions of dollars are lost to Canada’s hefty heavy oil price discount every year. But no matter how many new pipelines are built, the bleeding will never fully stop. The discount applied to Western Canada Select (WCS), which accounts for nearly all the crude pulled out of the oil sands in northern Alberta, has recently hit record highs relative to the North American benchmark West Texas Intermediate (WTI) price. While much of that can be attributed to production growth outpacing the energy industry’s ability to get new output to market, such as a lack of new pipelines, some of the WCS discount is based on a factor beyond anyone’s control – quality. In its natural state, oil sands bitumen is as viscous as peanut butter. That makes it more expensive to refine, meaning refiners would never pay as much for it as they would for the lighter, sweeter stuff more closely tied to WTI. Yet based on some of the longstanding expert rhetoric, one could easily be led to believe the WCS discount represents a price gap that can be fully closed. Bemoaning the discount as a “self-inflicted wound,” Scotiabank economists published a report earlier this year arguing the discount was costing the Canadian economy roughly $15.6 billion annually, shaving about 0.75 per cent off the country’s gross domestic product. That was in February, when WCS was trading at US$24 per barrel below WTI, or about half the discount applied to Canadian heavy oil barrels in recent trading. Now, Canadian oil sands products are “easily the cheapest crude oil barrels for sale anywhere in the world,” Martin King, director of institutional research at Calgary-based GMP FirstEnergy said in a report published last week, while referring to the current WCS price as “galling.” Even he, however, readily acknowledges the discount can only be narrowed by so much. 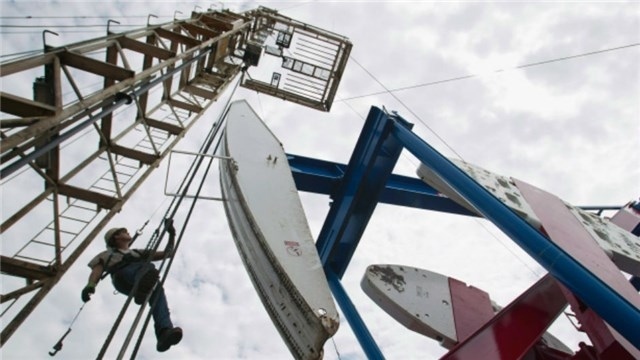 Would you invest in Canadian oil sands producers? Some still believe eliminating the WCS discount entirely is feasible. They point to other grades of heavy crude, such as the Maya grade produced in Mexico, as examples of oil similar to Canadian heavy that trade much closer to and even sometimes above WTI pricing. Crude-by-rail has long been seen as a way to at least temporarily relieve the pressure on Canada’s jam-packed pipelines. The amount of oil shipped on trains surpassed 200,000 barrels per day for the first time ever in June, according to National Energy Board data. Alberta Premier Rachel Notley is even spending some political capital calling for crude-by-rail support, even though that is likely to only help on the margins. “Best case scenario is we climb back to about US$22 to US$25 [per barrel] WCS discount if crude-by-rail can close the oversupply- to-demand gap over the next two years,” Darrel Bishop, director of research for Calgary-based Haywood Securities, explained to BNN Bloomberg via email. He cautioned the upside from that higher price for producers would be limited since shipping a single barrel of crude oil on a train costs at least $12 versus roughly $4 via pipeline.